The SoCal Honda Dealers made this summer cooler than ever. 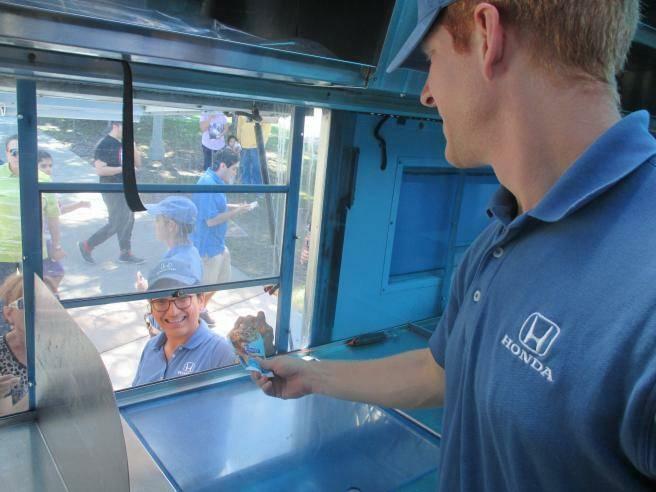 SoCal Residents were surprised with the sweetest giveaway yet –a Helpful Honda Ice Cream Truck– filled with a tasty assortment of *free* frozen treats at various. This year, the Helpful Ice Cream Truck even made special visits to events and parties requested by SoCal Honda social media fans. We invited residents to reach out on Facebook.com/SoCalHondaDealers or on Twitter.com/HelpfulHonda with details about an event in their area for a chance to have the Ice Cream Truck show up. 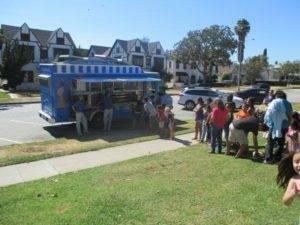 Now that summer is nearing its end, we’re preparing to ‘help the helpful’ all across Southern California. We will be visiting our local fire stations with complimentary breakfast & lunch to thank them for their continued dedication to keeping residents safe every day. It’s just one more way we’re giving back to those who are being helpful in our communities. And for college students heading back to school and moving into the dorms, keep an eye out for us in our blue polos to give you a hand with moving in. The Guys in Blue are always looking for their next Random Act of Helpfulness. Submit your HelpMeHonda requests here.